Alum is know and used as a cosmetic since several millenia. Egyptians, Greeks, Romans, used it dayly for all kind of stuff (painting, leather work, agriculture, water treatment…). 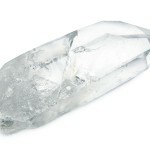 Laboratoires Osma, mades, stiil respecting the natural alum crystal, one of the largest offer of cosmetics based with alum stone for dayly use. 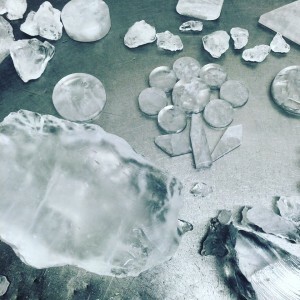 Last French manufacturer of alum stones, Laboratoires Osma, thanks to its unique know-how is recognized as one of the best alum stones’ manufacturer by offering high quality products with one of the purest alum crystal in the world. Our alum stones are all polished by hands in our warehouse in France, in order to offer one of the best alum stone mades from 100% natural origin alum. From crsytallisation to polishing and even packaging all the production steps are made in our office based in Craponne in France. Laboratoires Osma, is proud to have obtained the Cosmos Nat for its alum stones, that shows that we only use 100% natural original alum. Our company is the first one in the world to have both raw material and finished alum stones certified by Cosmos Nat. Since 1957, and thanks to our strict requirement we made and distribute natural cosmetic products, that fits your customers’ demand and also European and worlwide regulations ofr cosmetic manufacturing. In order to take car of our own living environnement we also try to choose a large part of local suppliers to decrease our carbon impact, and we also be careful in retreating all our garbage also to have less environmental impact.